As 2017 comes to a successful close, the Upper Black River Council (UBRC) is pleased to provide a final River Crew Progress Report for 2017. Since our July report, we are happy to report that the entire Northern Blue Lakes (NBL) permit reach has been completed. Ken Reed and crew finished the final 93 structures remaining after the July report, bringing the total for the NBL permit to 146 structures installed over an estimated 7,529 feet of stream on the main stem Upper Black. This, in addition to completing the final 57 structures on the main stem Upper Black and 2,560’± of streambank attributable to the remaining “Hardwood Creek” portion of the previous permit (Springs-Hardwood Creek) this year. 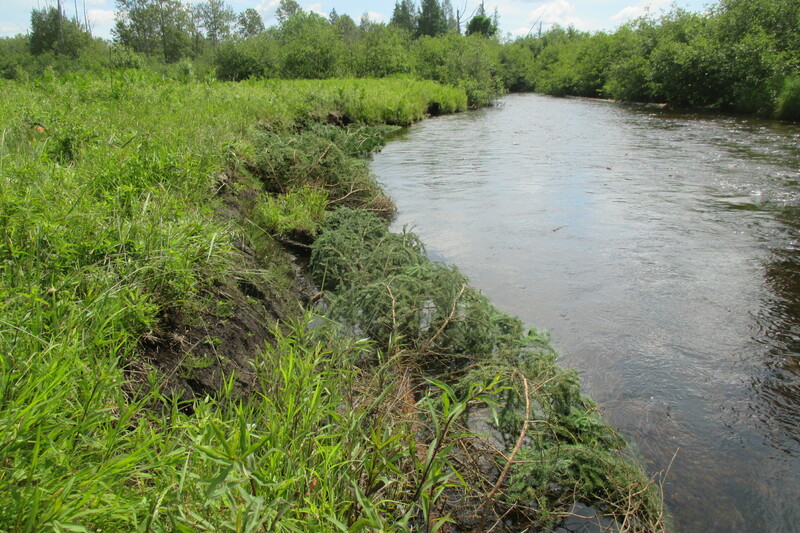 When combined, 10,089± feet of streambank was enhanced in 2017. 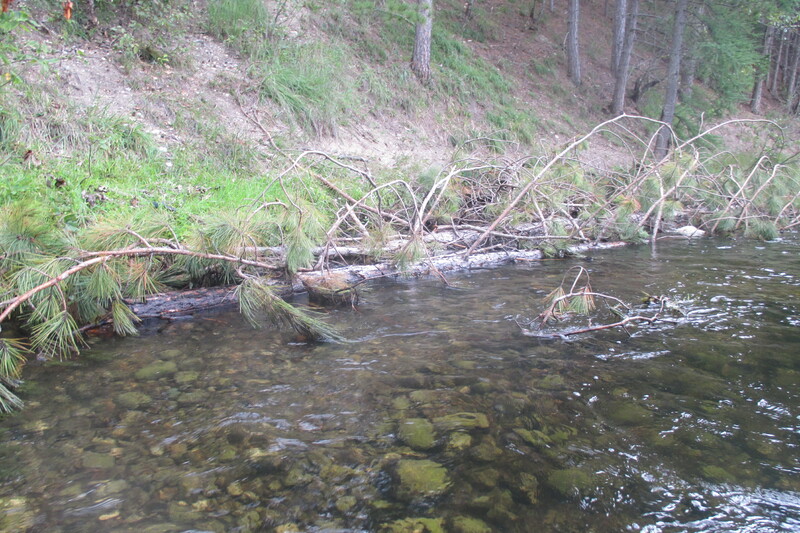 Additionally, Ken and crew also installed 56 structures on Canada Creek as it flows through Canada Creek Ranch, enhancing at least another 0.25 mile of streambank there. 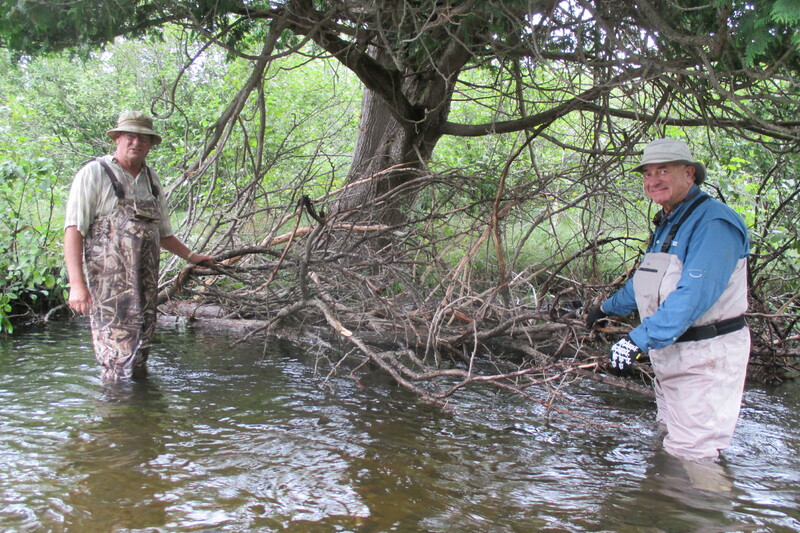 We’d all agree that the amount of work and habitat enhancement on this, the only river in lower Michigan exclusively managed for its naturally reproducing brook trout fishery, was nothing short of remarkable. It couldn’t have happened without the support of our many project partners. In particular, we’d like to thank US Fish & Wildlife Service for their decades of support through their Partners for Fish & Wildlife program. In addition, our grateful thanks to Huron Pines for sharing their Saving Our Great Lakes grant funding with us, along with Headwaters TU Chapter, Michigan Fly Fishing Club, the Shelden Foundation, Canada Creek Ranch, Montmorency County Conservation Club, our donors, NEMCOG and our UBRC Board of Directors for their continued investment in this important conservation work. Our thanks also extend to MDNR Senior Fisheries Biologist, Tim Cwalinski, for his professional and personal investment of his time and expertise, to Nico Tucker of NEMCOG for his extraordinary ability to craft permit applications that are things of beauty, and to Richard Bruot for always being available when he’s needed somewhere on the river. All of the photos of this year’s structures may be viewed here. ← Michigan Public Land Management At Risk – Calls and Letters Are Needed NOW!